Cassini begins its final dive - in & out of Saturn's rings !! 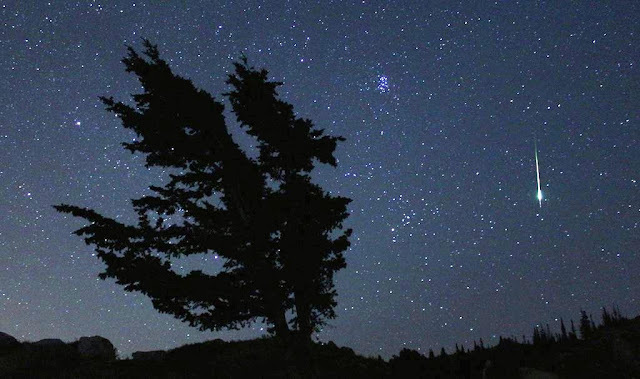 If you live away from a City or visit a village, the great opportunity is ‘star gazing’ in the night – away from city light refractions, you can easily spot more stars !! The second largest planet in our solar system, adorned with thousands of beautiful ringlets, Saturn is unique among the planets. It is not the only planet to have rings -- made of chunks of ice and rock -- but none are as spectacular or as complicated as Saturn's. Like fellow gas giant Jupiter, Saturn is a massive ball of mostly hydrogen and helium. Surrounding by 53 confirmed and nine provisional moons, Saturn is home to some of the most fascinating landscapes in our solar system. From the jets of Enceladus to the methane lakes on smoggy Titan, the Saturn system is a rich source of scientific discovery and still holds many mysteries. Cassini-Huygens was a joint project between Nasa, the European Space Agency and the Italian Space Agency when the probe first launched in 1997. After seven years it arrived at Saturn on July 1, 2004 and it has been orbiting it ever since. The Huygens probe attached to the spacecraft and travelled with Cassini until 2005, when it detached and landed on Titan in 2005. Both have beamed back invaluable images about Saturn and its moons. Today, Nasa's Cassini spacecraft will boldly go where no probe has gone before as it begins its descent to the region between Saturn and its innermost ring. The spacecraft's "Grand Finale" will see it dip in and out of the planet's rings 22 times over the coming months before it enters the planet's atmosphere, burning up in the process. Cassini, which launched two decades ago, has been circling the planet for 13 years but it has finally begun to run low on the propellant used to adjust its course, and scientists fear it damaging one of the moons it was sent to space to study for signs of life. NASA's Cassini spacecraft has had its last close brush with Saturn's hazy moon Titan and is now beginning its final set of 22 orbits around the ringed planet. 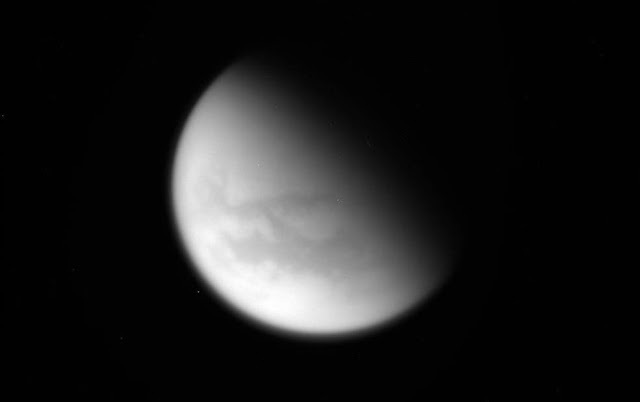 The spacecraft made its 127th and final close approach to Titan on April 21 at 11:08 p.m. PDT (2:08 a.m. EDT on April 22), passing at an altitude of about 608 miles (979 kilometers) above the moon's surface. Cassini transmitted its images and other data to Earth following the encounter. Scientists with Cassini's radar investigation will be looking this week at their final set of new radar images of the hydrocarbon seas and lakes that spread across Titan's north polar region. The planned imaging coverage includes a region previously seen by Cassini's imaging cameras, but not by radar. The radar team also plans to use the new data to probe the depths and compositions of some of Titan's small lakes for the first (and last) time, and look for further evidence of the evolving feature researchers have dubbed the "magic island." "Cassini's up-close exploration of Titan is now behind us, but the rich volume of data the spacecraft has collected will fuel scientific study for decades to come," said Linda Spilker, the mission's project scientist at NASA's Jet Propulsion Laboratory in Pasadena, California. After the spacecraft's first finale on April 26 at 2 a.m. PDT (5 a.m. EDT). (Pacific Daylight time and Eastern daylight time) – the spacecraft will be out of contact during the dive and for about a day afterward while it makes science observations from close to the planet. Cassini may be beginning its journey to destruction, but the process will take several months. It will dip in and out of Saturn's rings 22 times over the next 142 days before its mission finally ends on September 15, reaching a top speed of 76,806 miles per hour. The mission has been extended by Nasa three times, but with Cassini finally running out of fuel, scientists fear that it could crash into one of the planets that may support life. While unlikely, Nasa wants to avoid any microbes from earth that might remain on the probe contaminating the surface. Giovanni Domenico Cassini (1625 – 1712) was an Italian mathematician, astronomer, astrologer and engineer. Cassini was born in Perinaldo, near Imperia, at that time in the County of Nice, part of the Duchy of Savoy. Cassini is known for his work in the fields of astronomy and engineering. Cassini discovered four satellites of the planet Saturn and noted the division of the rings of Saturn; the Cassini Division was named after him. Giovanni Domenico Cassini was also the first of his family to begin work on the project of creating a topographic map of France. The Cassini spaceprobe, launched in 1997, was named after him and became the fourth to visit Saturn and the first to orbit the planet. RCB : Chris Gayle, Virat Kohli, AB de Villiers ~ all out for 49 in 9.4 overs !! 7 0 1 8 9 8 2 0 2 5 0 7 ~ and this entry of Umpires did not look any innovative to me ! The game of Cricket has undergone many and varied changes since its inception – the accidental invention of ‘limited Overs Internationals (ODI)’ and subsequent thoughtful proposition of T20 have attracted more people – now slowly it is becoming more of a media sport. There have been no radical changes nor visionaries, though some bold changes are always contemplated. One novel attempt was the substitute which in effect allowed 12 players rather than the traditional 11. 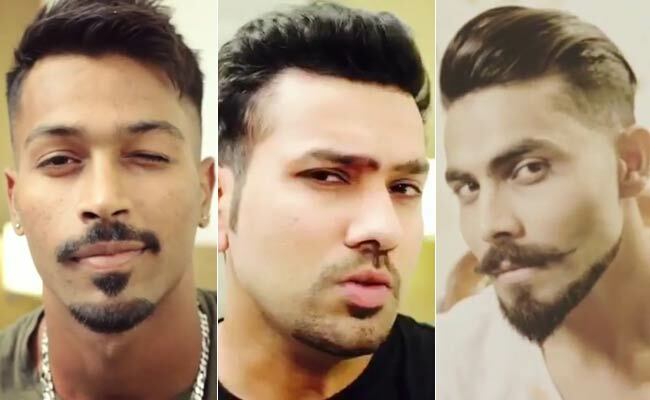 IPL showed some new dimensions – for people hooked to the concept of Nation and States vying for trophies, it brought in Clubs with players of different nation participating as one team – the colour, theme, dresses, and the concept no doubt attracted newer audiences and increased popularity. There are people who are adding colour by their newer looks too ..
Will IPL provide platform for National duty – the likes of Hardik Pandya, Manish Pandey, Nitish Rana, Rishab Pant, Sanju Samson – all have been scoring heavily and at a great strike rate – hoping for the 2017 ICC Champions Trophy that is scheduled to be held in England and Wales between 1 and 18 June 2017. This will be the 8th edition of the tournament. The top eight teams in the ICC ODI Championship rankings as on 30 September 2015 qualified for the tournament. The eight teams were divided into two groups of four.Bangladesh replaced the West Indies, who finished outside the top eight in ninth position, in the ICC ODI Team Rankings on the cut-off date. Bangladesh returned to the ICC Champions Trophy for the first time since 2006, and for the first time, the West Indies lost their place in the Champions Trophy. So sadly, the likes of Pollard, Bravo, Narine will not be seen !! There have been instances when team's won the match despite making a low score. Bowlers have single-handedly ensured victories. In 1983, Kapil Devils defended successfully 183 against mighty West Indies and in 1985, India bowled out Pakis for 87 to win a match in Sharjah. In Mar 2014, Netherlands hit the bottom, bowled out for 39. Netherlands were all out for 39 in 10.3 overs – their scorecard read : 0;0;1;16;0;8;4;1;3;0;0.. Lankans were in a hurry recording the fastest ever victory in a T20 International. Digging into records, one would be surprised to note that the lowest in T20 is higher than the lowest in ODI, which again is higher that the lowest in an innings in Test Cricket. In Test Cricket – the lowest total is New Zealand’s 26 in Mar 1955 made at Auckland against England in Test 402; South Africa had been shot out for 30 twice once in Feb 1896 and later in June 1924; next is South Africa’s 35 V England in Apr 1899 and again by the same South Africa 36 in Feb 1932. Next is ‘42’ – of New Zealand in Mar 1946; Australia in Feb 1888 and Indian’s dismal show at Lords in June 1974 when they were bowled out in 17 overs. Yesterday it was RCB to hit the nadir. The commentators kept asking what could be a reasonable target to be set for RCB to chase – for a lineup that had Chris Gayle, Virat Kohli and AB deVilliers – they were dwelling that even 200 may not be safe – but the scorecard of RCB read : 7 0 1 8 9 8 2 0 2 5 0 7 ~ none including extras reached the double figures. The Bangalore team was blown away for IPL’s lowest ever total to hand Koklata a 82 run win – chasing a mere 131. The mighty folded meekly in mere 9.4 overs. Nathan Coulter-Nile struck in the third over of the innings by having dangerman Kohli caught at second slip by Manish Pandey . Pandey again caught the other opener Mandeep Singh off Umesh Yadav. Coulter-Nile consumed AbD in his next over and Keder Jadhav followed. Chris Gayle perished trying to pull Woakes only to be caught at mid-off by Coulter-Nile. Earlier Sunil Narine once again gave the home team a flying start but sensational middle-order collapse saw Kolkata being bowled out for a mere 131 in 19.3 overs.Kolkata, who recorded the fastest 50 of this IPL in 3.5 overs ultimately ended up as the first team to be bowled out while batting first. Chahal, Bangalore's highest wicket-taker, played the role of wrecker-in-chief, finishing with figures 316 -the best in IPL-10. The earlier lows have been : 58 all out in 15.1 overs, Rajasthan Royals (banned from IPL 2016-17) Vs Royal Challengers Bangalore, IPL 2009. 67 all out in 15.2 overs, Kolkata Knight Riders Vs Mumbai Indians, IPL 2008. The unpredictability always makes the game most interesting ! United Air gets people off air and is in news !!! Even today, we feel that Train travel is for the masses and elites travel by air ! – till a couple of decades ago, the most arduous part was standing in long queues and booking tickets. Indian Railways revolutionized the way people travel, or rather they buy tickets when they first introduced Computerised reservation and later – the e-ticket. When you book, ticket may not be readily available and you get wait-listed. Some may still not know that waiting list ticket is invalid and one cannot travel holding the same. Earlier, unconfirmed e-tickets only were considered invalid, but those with tickets (waiting list) can travel in general compartment and may get an upgrade, in case there is still some vacancy, with people not showing up. Away in USA, a couple about to be married - groom Michael Hohl,and his fiancee Amber Maxwell discovered people sleeping in their allocated seats when they boarded the plane, after a layover at George Bush Intercontinental airport after departing Salt Lake City. They reportedly moved to different seats in the same class, because people were sleeping in theirs and he didn’t want to wake them up ~ and now they are in no news, for seemingly no fault of theirs. United Airlines, Inc., commonly referred to as United, is a major American airline headquartered in Chicago, Illinois. By some accounts, it is the world's third-largest airline when measured by revenue, operates a domestic and international route network, and has presence in the Asia-Pacific region. United was founded in 1926 as Varney Air Lines and was later known as United Air Lines. United operates out of nine airline hubs located in Chicago, Denver, Guam, Houston, Los Angeles, Newark, San Francisco, Tokyo and Washington, D.C. Recently they were in news for all wrong reasons - after passenger Dr David Dao lost two front teeth and suffered a broken nose when he was forcibly removed from a fligh. United Airlines said the move was aimed at improving its customer services. The incident involving Dr Dao caused outrage and widespread condemnation of the airline after shocking footage was shared and watched by millions of people online.His daughter, Crystal Dao Pepper, later told a news conference in Chicago that the family had been "sickened" by what had happened.Law enforcement officials dragged Dr Dao off a flight departing from Chicago for Louisville, Kentucky, because it was fully booked, and the airline wanted four passengers to make way for staff members.The 69-year-old Vietnamese-American physician had refused to leave, saying he needed to go home to see his patients. He was then dragged down the aisle of the aircraft.His lawyer later said that Dr Dao found the experience "more horrifying and harrowing than what he experienced when leaving Vietnam". The ordeal led to demonstrations at Chicago's O'Hare International Airport and turned into a public relations disaster for United Airlines. Now comes the news of a bride and groom headed to Costa Rica for their wedding getting kicked off a United flight out of Houston following an issue with seating on the plane. Michael Hohl, the groom, said he and his fiancé, Amber Maxwell, were the last to board United Airlines Flight 1737 which was headed from Houston to Liberia, Costa Rica. According to Hohl, they noticed a man was spread across their row napping when they approached their seats, so they decided to move three rows up to row 21.He said they didn't think it would matter because the flight was half full with multiple empty rows.“We thought not a big deal, it’s not like we are trying to jump up into a first-class seat," said Hohl.“We were simply in an economy row a few rows above our economy seat.”In a Boeing 737-800 like the one the couple was on, United considers Row 21 "economy plus," which is an upgrade. After sitting, Hohl said a flight attendant approached and asked if they were in their ticketed seats. The couple explained they weren't and asked if they could get an upgrade, but instead they were told they needed to return to their assigned seats.Hohl said after complying with the flight attendant's demand, a U.S. Marshall came onto the plane and asked them to get off.The couple cooperated and got off the plane without incident, but they still don't understand why. United Airlines said in a statement that the couple tried to sit in an upgraded seat "repeatedly" and they "wouldn't follow crew instructions. "The bride and groom were rebooked for another flight the next morning, but Hohl said they won't be flying United again and described the whole situation as "quite strange." Despite their flight delay, their wedding is still planned for Thursday.United Airlines is steel reeling after the viral video of passenger being dragged off a United flight went viral. 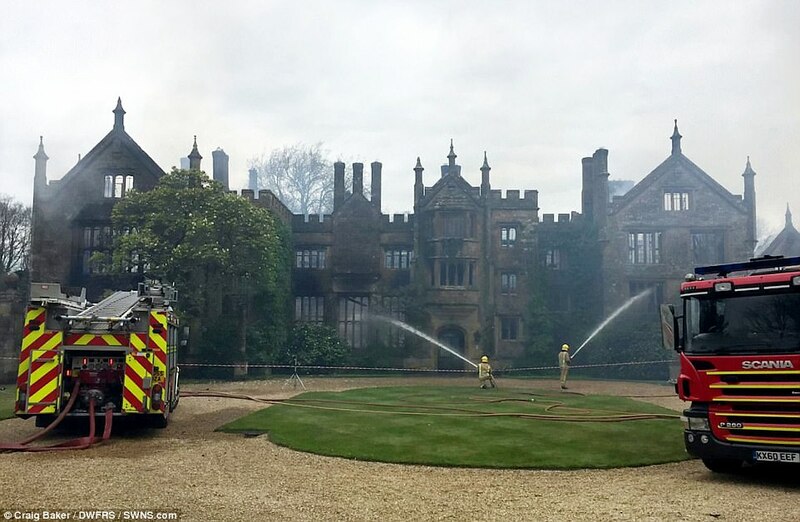 heritage home damaged by fire at Dorset ~ what is indemnity ?? Fire Insurance is a contract whereby the Insurers upon consideration, agree to indemnify the insured against loss or damage to subject matter insured caused by perils during the currency of policy. In India, we have the Standard Fire & Special Perils Policy. Though the name is Fire Policy, it covers a host of perils including – flood, cyclone, storm, riot, strike, impact damage and more. There has to be a specified subject matter which is insured against, at a given value, i.e., the sum insured. It can be Building, Plant & machinery and Stocks – and when damaged by insured perils, the Insurer’s indemnify – place the insured back in the position as they were prior to the loss. This indemnification is purely on monetary terms and no Insurer can in reality bring back certain subject-matter – and the subject matter is a heritage building damaged by fire. MailOnline reports that Twenty fire engines were called to Parnham House, in Dorset, this morning to tackle the blaze. Pictures appear to show a large part of the home engulfed by flames which gutted the interior. The mansion is believed to be privately owned with all occupants accounted for. Dorset Police are investigating how the fire was started and have not ruled out suspiscious circumstances. 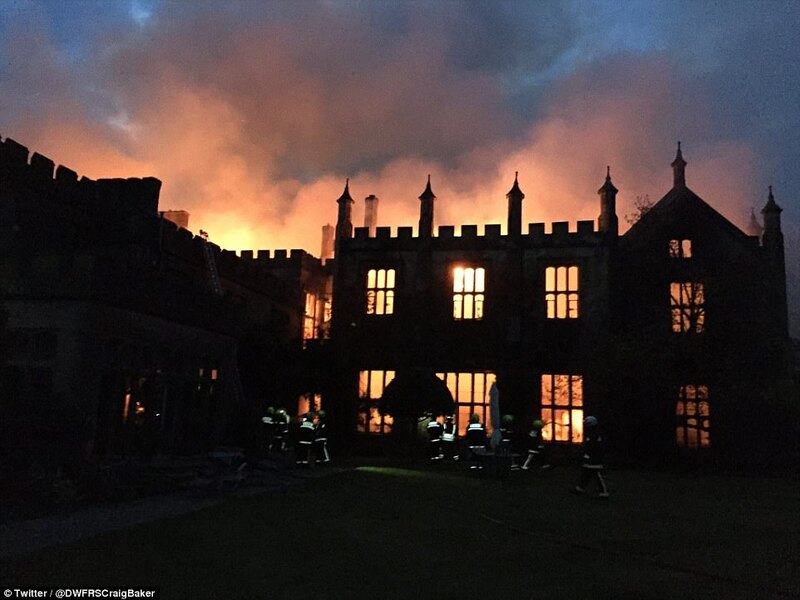 The building damaged in fire is a 16th century stately home and Dorset and Wiltshire Fire and Rescue Service tweeted images of the blaze which appeared to destroy a large part of the mansion. The house is believed to be privately owned by Michael and Emma Treichl who renovated the site eight years ago. A spokeswoman for Dorset Police told Somerset Live officers were alerted at 4.10am. 'Officers arrived at 4.25am to find an extensive fire at the premises - all occupants were accounted for,' she said and an investigation in to the cause of fire was on. It was the site of the brutal 1645 murder during the English Civil War. 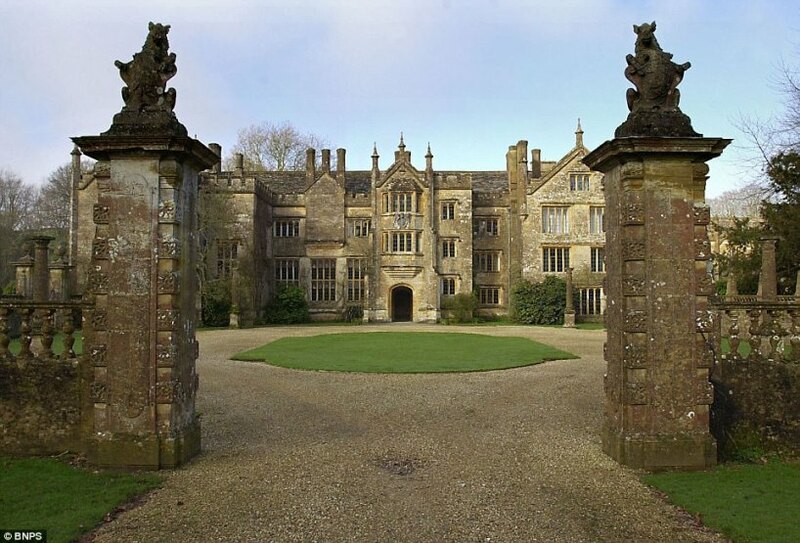 Parnham was brought into the ownership of the Strode family in the mid-1500s who lived in the property for 200 years. It was the site of murder of Lady Ann Strode by a soldier under the command of Colonel Thomas Fairfax - commander-in-chief of the Parliamentarian forces during the English Civil War. During the 1920s the house was a country club until it was used to accommodate American soldiers during the Second World War. It was bought by the Treichls in 2001. Before the fire, the house and gardens were open to the public during spring and summer. Had the property been insured, its owners might get the value required for rebuilding the same at its present site, but the heritage value, however, would have been lost forever. When processing a quote for Marine transit ~ the first Q of a Marine Underwriter is the mode of transit. Generally, it is Road / Rail / Sea / Air – by Sea, it could be by Ship, sometimes by Sailing vessels and country crafts also. Every Carrier upon receipt of goods issues document establishing entrustment and it is the basic duty of the Carrier to deliver the goods at destination, in the same state as they were entrusted to them. Earlier there was Indian Railways Act 1890 replaced now by – The Railways Act 1989. What happens when goods entrusted to Railways for transportation goes missing ? How much is the Railways liable and what is the procedure (when Insured and when goods are uninsured) ~ something interesting from a Caselaw of Allahabad High Court pertaining to year 1923 !! is the subject matter of this post. 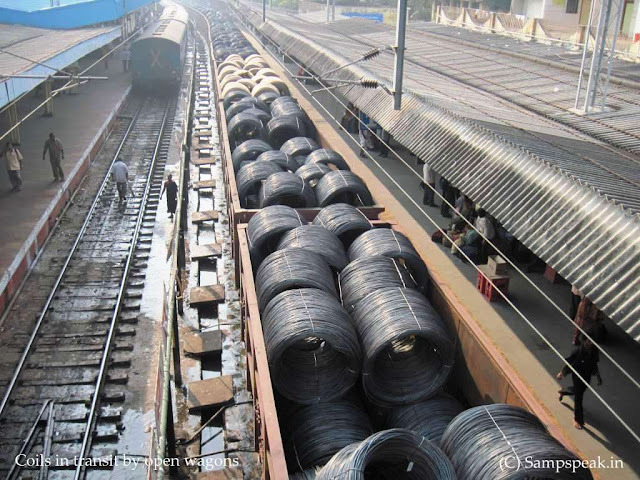 coils in transit in open Railway wagons ..
A Railway Administration shall be responsible for the loss, destruction, damage or deterioration in transit or non-delivery of any consignment arising from any cause except the following namely: Act of God; Act of War; Act of Public Enemies; Arrest, restraint or seizure under legal process; Order or restrictions imposed by the Central Government or a State Government; Act of omission or negligence of the consignor or the consignee or the endorsee or the agent or servant of the consignor or the consignee or the endorsee; Natural deterioration or wastage in bulk or weight due to inherent defect, quality of vice of the goods; Latent defects; Fire, explosion or any unforeseen risk, provided that even where such loss, destruction, damage, deterioration or non-delivery is proved to have arisen from any one or more of the aforesaid causes, the railway administration shall not be relieved of its responsibility for the loss, destruction, damage, deterioration or non-delivery unless the railway administration further proves that it has used reasonable foresight and care in the carriage of the goods. There is another Section – Sec 103 that deals with the extent of monetary liability in respect of consignments entrusted. The Act provides for declaration of value to the Railways. If value is declared and prescribed fee paid, then the extent would the value of the cargo so declared and where the value of consignment is not declared, the amount of liability of the railway administration for the loss, destruction, damage, deterioration or non-delivery of the consignment shall in no case exceed such amount calculated with reference to the weight of the consignment as may be prescribed, and where such consignment consists of an animal, the liability shall not exceed such amount as may be prescribed. It is a case of Allahabad High Court against East Indian Railway Company in Nov 1923, an appeal on a decision of Small Cause Court. The plaintiff was the consignee of 126 bags, which were loaded at Kidderpur station and were despatched to Cawnpore. (Kanpur!) The railway wagon arrived at Cawnpore on the 27thof December, 1921, and the seals on the wagon were found intact. As the railway company had many other wagons to unload, this wagon was put on a siding and remained there for two days. Later it was reported that the seals on one side of the wagon were broken. When the contents were checked, it was discovered that six bags were missing. After a lengthy correspondence, which came to nothing, the plaintiff instituted suit to recover damages for the loss of the bags. Railway company took several pleas in defence, but three main issues were framed by the trial court. The first was whether the risk-note absolved the defendant company of all liability or not. The second was whether the goods were stolen at Cawnpore yard and whether the risk-note (form B) applied and whether the defendant company was guilty of wilful negligence or not. And the third was to what money the plaintiff was entitled. The learned Judge of the Small Cause Court found these issues in favour of the plaintiff and granted him a decree. Railways went for revision urging that the findings of the lower court are quite insufficient and further that the burden lay on the plaintiff to prove that there was either a wilful neglect of the company or theft by or on account of the wilful neglect of its servants. I am bound to concede that under the contract which took the shape of the risk-note (form B) a prima facie burden lay on the plaintiff to prove neglect or theft of the kind mentioned therein. I agree that a mere proof of the loss of the goods would not be sufficient to entitle the plaintiff to a decree. This was the view expressed by a Bench of this Court in the case of East Indian Railway Co. v. Nathmal Behari Lal (1917). It is obvious that the evidence, if any, of wilfull neglect or negligence is within the special means of knowledge of the railway company, and it is ordinarily very difficult for a plaintiff to establish that the loss was due to the wilful neglect of the company. Nevertheless, I concede that under the terms of the contract the burden is prima facie on the consignee. But I am of opinion that where certain circumstances have been established, either by direct evidence produced by the plaintiff or by the cross-examination of the witnesses for the defendant, from which circumstances wilful neglect or negligence can be inferred, the burden must then be shifted to the defendant company. Such circumstances coupled with the patent fact that the packages have been lost, may justify a court to hold that the burden has been discharged. It is to be noted that the only circumstance which the plaintiff had there proved was the fact that the goods had been despatched and on arrival of the train in Cawnpore the seals of the doors of wagons were found to have been broken and six bags of sugar found missing. The learned Judges were doubtful whether it was not a case of theft from a running train. In a recent case decided by the House of Lords, namely, H.C. Smith Ld. v. Great Western Railway Co. (1922) 1 A.C. 178 (188), it was laid down that the burden of proving in the first instance that the loss sustained arose from the wilful misconduct of the company's servants was thrown upon the trader. In the present case I find that the learned Judge of the Small Cause Court had before him a clear issue as to the wilful negligence of the company. In the course of his judgment he has pointed out that the yard where the wagon was kept was a very large one and that its wall on the jungle side was broken at several places at the time when the goods were stolen. He has commented on the fact that the railway company took two days to unload the goods after their arrival at the station. Having considered these circumstances, he remarks: "If the goods are lost on account of the railway company's not making proper arrangements, the railway company is liable." Further on, he remarks that it was clearly not a case of theft from a running train. In view of these findings I am unable to hold that the judgment of the learned Judge of the Small Cause Court is wrong. In view of this I am unable to interfere. The application is rejected. One cannot judge the predicament of the consignor reading a case that occurred almost a century ago, .. .. yet, it is a case of short delivery of consignment, which Railway Company denied in first place, and the cargo owner had to go to Court and again appear on appeal made by Railway Company. riding a horse ~ sad tale of a young girl's injury - million pound law suit..
Is India a litigant State – not exactly ? – there are thousands of cases pending at Courts across States and UTs. By some statistics there are lakhs of cases failed to have been decided in the last 10 years ~ and what justice if it comes after a decade ? – there are Criminal cases and Civil cases take much longer time to be adjudicated. But when one asks - what would be the liability scenario in India, in near future ? – it is a totally different picture and newer perspective. A lawsuit is : a suit, action, or cause instituted or depending between two private persons in the courts of law." The term refers to any proceeding by a party or parties against another in a court of law. It may also refer to a civil action brought in a court of law in which a plaintiff, a party who claims to have incurred loss as a result of a defendant's actions, demands a legal or equitable remedy. In US, there would be lawsuits, batch actions – all brought about in various courts arising out of single or a related event. In Oct last, there were reports of Talcum powder lawsuits alleging Johnson & Johnson's Baby Powder and Shower-to-Shower products can contribute to the development of ovarian cancer continue to move forward in Missouri Circuit Court in St. Louis. A pool of 50 jurors has already been selected for the litigation's third trial, and the Court is expected to choose the final 12 jurors before opening arguments could begin. The case scheduled for trial was filed on behalf of a California woman diagnosed with ovarian cancer in 2012. According to her lawsuit, the plaintiff was a regular, long-time user of Johnson & Johnson's talc-based powders for feminine hygiene purposes in the years leading up to her diagnosis. She claims that the company was aware of the alleged link between talcum powder and ovarian cancer for years, but failed to take steps to warn consumers. Moving away, what happens when one rides a horse ? 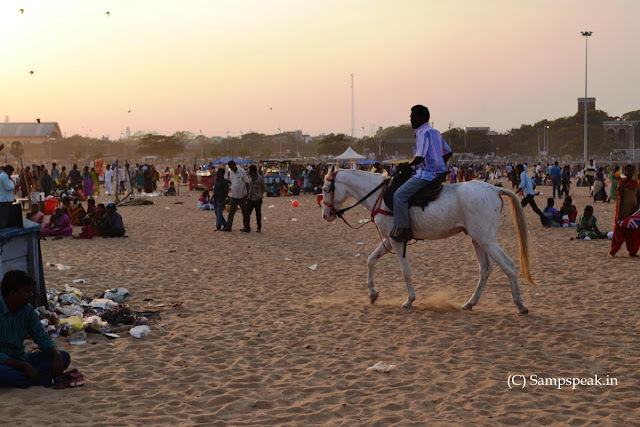 – no, not the ones roaming at Marina beach – even there, there is the risk of injuries though they do not compare with the risks inherent to moto-racing, extreme sports and illicit drug use. In our country, data relating to any such injury would not be available, as there are no authentic sources. It should not only be the data of injuries and resultant claims, but also data on the no. horses, the no. or riders, the frequency of such rides and more. Globally, horse riding causes deaths and very serious injuries such as long term paralysis from spinal cord damage. In UK, many heads turned when a teenager left paralysed by a tragic riding accident battled for more than £3million compensation from her ex-boyfriend's mother.Ashleigh Harris had just turned 14 when she broke her back after falling from Polly Perks, a thoroughbred mare owned by Rachel Miller.She was riding Polly in a field in Mathern, near Chepstow, when she suffered catastrophic injuries in 2012. The accident left the keen rider, now 19 - with no function in her legs, and she sued Mrs Miller at London's High Court. 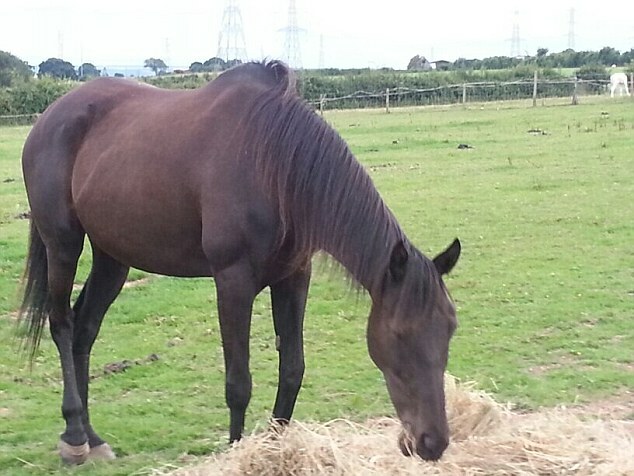 She was hardly 14, when she broke her back after falling from Polly Perks, a thoroughbred mare owned by her ex-boyfriend's mother Rachel Miller in Mathern, near Chepstow. Ashleigh, of Woolaston, Lydney, in the Forest of Dean, claimed that Polly 'misbehaved' and broke into a canter of her own accord, throwing her off in the process. However, the owner - Mrs Miller, in her 40s, contended that the horse was blameless and that Ashleigh fell after losing her balance as she descended a 'short and gentle slope'. Mrs Miller disputeds Ashleigh's version stating that she tumbled off Polly as she was riding her at a walking pace down a hill in the field.She also said she had spoken to the teenager's mother before letting her ride the mare, and believed Ashleigh was a more experienced rider.Judge Graham Wood QC asked: 'She may have been trying to impress her boyfriend with her riding skills? There's a cachet in that'. Month later, Judge Graham Wood QC ruled that Ashleigh, of Woolaston, Lydney, is entitled to full compensation from Mrs Miller.Polly Perk's owner was bound to suffer "dire financial consequences" as a result, he added.The judge said Mrs Miller, in her 40s, had "encouraged" the teenager to ride the "strong and wilful thoroughbred" and exposed her to a risk of injury. Rhinos are attractive ~ some say they are on the brink of extinction !the white rhino is a major conservation success story, having been brought back from the very brink of extinction. But the current surge in poaching for their horns, particularly in South Africa, has seen record numbers killed in recent years. Urgent efforts are now underway to stop the poaching and end the illegal trade. Poaching threatens the existence of many animals ! – it is human greed. Children are gleeful when they see wild animals ! – villagers are happy visiting Zoos, may not be the same with city man, who is addicted to gadgets and perhaps would be interested in playing Zoo game rather than see them. The sprawling Vandalur attracts many visitors – and many were disappointed as it remained closed during Pongal, having not recovered from the devastation of Cyclone Vardah. While the purpose of Zoo is different, the animals do face different types of trouble from the visitors ! – and also because they are kept as exhibits, in not so natural surroundings ! ~ but this is sad ! and not expected to happen at a so called protected environment is the subject matter of this post. Away at El Salvador, the gruesome killing of Gustavito, an adored hippo, attacked and badly mauled with metal bars and knives shocked even the Nation, where killings are so high. Close on its heels, came the news of a group of visitors at a Tunisia zoo stoning a crocodile to death. The municipality of Tunis posted gory pictures on Facebook of the dead animal’s head next to what appeared to be a bloodied paving slab and another large rock. “A group of visitors to the zoo threw stones at the head of a crocodile, causing internal haemorrhage that killed it,” it said. The municipality said the act at the Belvedere Zoo in central Tunis was “savage behaviour”. The Château of Thoiry is a 150-hectare (370-acre) castle, zoo and botanical garden that was opened to the public in 1965 in the village of Thoiry, France, with gardens and a zoological park. Located about 30 miles (48 km) due west of Paris, it is best visited by automobile to take advantage of the drive-through lane. It has assorted range of animals, many of which roam freely along an 8-kilometre (5.0 mi) road through the 240-acre (97 ha) "African Reserve". Others can be viewed in a walk-through zoo. Animals in the reserve include Przewalski's horse, bears, European and American bison, wildebeest, greater and lesser kudu, dromedary camels, zebras, giraffes, rhinos, hippos, eland, Watusi cattle, and three elephants..
One rhino roaming there was less fortunate. 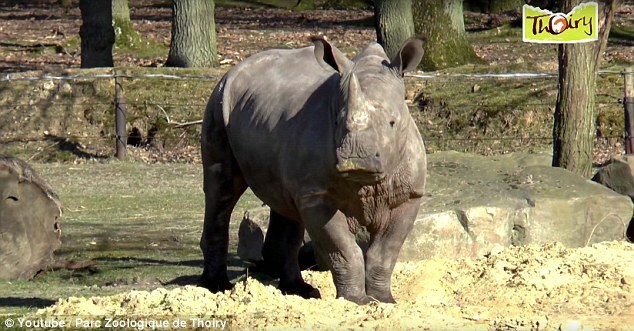 It is reported that poachers forced their way into the French zoo and killed a southern white rhinoceros named Vince, sawing off one of his horns before fleeing into the night. The Thoiry Zoo said police are investigating the killing of the 4-year-old animal. The poachers remain at large. "It is extremely shocking what just happened," zoo director Thierry Duguet told France's 20 Minutes newspaper. "An act of such violence, never before seen in Europe. "Duguet told The Associated Press that Vince was shot three times in the head. The poachers likely used a chainsaw to cut off one of the horns, according to a statement from the zoo; "his second horn was only partially cut, which suggests that the criminals were disturbed or that their equipment proved defective." This odious act was perpetrated despite the presence of five members of the zoo staff living on site and surveillance cameras. Despite bans by international convention and French law, the illegal sale of rhino horns persists because of demand for use in traditional Asian medicine. A kilogram of rhino horn sold on the black market for nearly $54,000 in 2015, according to the zoo.Southern white rhinos like Vince were nearly extinct in the late 19th century, according to the WWF. Protection efforts were largely successful, with some 20,000 animals in protected areas and private game reserves — in fact, they're the "only rhinos that are not endangered. "But there's been a major uptick in poaching. "Hundreds of white rhinos have been killed annually in recent years," the WWF says. "They are particularly vulnerable to hunting, because they are relatively unaggressive." Vince was born at a zoo in the Netherlands, and had been living at Thoiry Zoo since 2015. In the aftermath of the attack, Thoiry is warning other European zoos. A spokesperson said - It's not easy to kill a rhino weighing several tonnes just like that. It's a job for professionals." Sad that an animal sought to be seen in an protective environment was poached amidst disturbing reports that the criminals had also planned to steal the horns of the two other white rhinos, five-year-old Bruno and 37-year-old Gracie. Both animals are said to be safe and healthy. While many communicated their anguish on the gruesome killing, some commented it to be the price of inviting immigrants in to Societies, feeding them, allowing them to bring their habits with them. the sad tale of a Champion sports person struggling to make ends meet !!! In Forbes Highest paid athletes list of 2016 – the 100 athletes earned a total of $3.15 billion over the last 12 months, a slight decrease from previous year’s earnings of $3.2 billion, which received a boost from the historic $460 million earned by boxers Floyd Mayweather and Manny Pacquiao. Real Madrid’s Cristiano Ronaldo, with earnings of $88 million, takes the top spot for the first time. That was the first time since 2000 that someone besides Mayweather or Tiger Woods has held the top spot. The list of elite athletes consisted of players from ten different sports. Baseball with 26 players, basketball with 18, football with 21 and soccer with 12 dominated the list. There are no hockey players on the list for a fifth straight year. There are 23 countries represented on the Highest-Paid Athletes list, with Americans (65) the most prevalent thanks to soaring salaries in baseball, basketball and football. Five Brits landed in the top 100, led by F1 driver Lewis Hamilton at No. 11 with $46 million. Three athletes each made the cut from Argentina, Germany and the Dominican Republic. It is pretty scientific study as Forbes earnings figures include all salaries and bonuses earned between June 1, 2015 and June 1, 2016. Winnings for golfers and tennis players represent their prize money over that period. Endorsement incomes are an estimate of sponsorship deals, appearance fees and licensing income for the 12 months through June 1 based on conversations with dozens of industry insiders. The golfers’ income includes course design work. - and Forbes list only includes athletes active during the last 12 months. Back home, at Pune – Sanju Samson made a belligerent 102 off mere 63 taking Delhi Daredevils to 205. The biggest purchase of IPL – Ben Stokes for RPS at 14.5 crore – had figures of 4-0-41-0. He had been bought more than seven times his base price - to make him the costliest overseas player in IPL history and the second most overall, behind Yuvraj Singh who went to Royal Challengers Bangalore for 16 crore in 2015. This season, Tymal Mills was bought by RCB for 12 crore; South African pacer Kagiso Rabada for 5 crore; Trent Boult for 5 crore – Pat Cummins for 4.5 crores – the list would tail more and for obvious reasons stopping with top 5 as the essence of the post is something else. Do you know or have heard of : Appa Rao; Lazar, Dilli, Radhakrishnan, Nagsen Etambe, RM Shankara, .. Maria Irudayam and more …. Some of legendary players of an enticing game ! ~ the Carrom board. By some accounts the game is played here since 18th century - the game of Majarajas and was popular during 1st World War ? It is increasingly becoming popular all over the world and is played in about 50 countries. At international level this game is controlled and supervised by the International Carrom Federation and respective continental Federations. It was (and perhaps is) popular in PSU, where every Branch would have a Sports club and a carom board at that ! A game that can be played with a min of 2 and max of 4 – Red (Queen) at the centre, surrounded in a formation by White and Black. The opener starts with a hit trying to pocket Whites while the opponent will have Black to dispense with. In doubles, four persons comprising two teams, sit opposite to each other, occupying all the four sides. At the end of each board, a player gets one point for each carrommen of the opponent left on the board and 3 points for the Queen if already pocketed and covered by him. The player / team who reaches 25 points first wins the game. There are further rules too – each set to be decided on the basis of a maximum of 8 boards or 25 points whichever is earlier and there are time limits too. The most popular Indian sportsperson Sachin Tendulkar got nominated to Rajya Sabha. He reportedly has attended 23 of the 348 days since his nomination in 2012, the actress Rekha has attended 18. According to a data, while Rekha attended the least number of days compared to those who were nominated along with her, the expenditure incurred on her is the highest till date: Rs 65 lakh as salary and expenses. Expenditure incurred on Tendulkar is Rs 58.8 lakh, according to the data. The official recognition for a Carrom player came only once, in the form of A Maria Irudayam, Two World title and 9 national crown winner getting Arjuna award. Now read excerpts from the article titled ‘Right strikes from small pockets’ in The New Indian Express, Chennai edition of date. It is all about the struggle of Stalin Edward, a star Carrom player struggling to make ends meet. Stalin Edward (28) is exhausted from loading sack bags and other heavy objects into a truck. The daily wage worker unloads the day’s burden and stares at a game board of lacquered plywood. Once a junior national carrom champion (2007-08), Stalin now plays only in a board room at an indoor playroom set up by the Greater Chennai Corporation. The hood of the lamp that hovers over the carrom board has little mounds of fine talcum on it. He, like several other children from the slums in Periyampet, was drawn to the game while watching a set-up similar to this when he was a kid. Other ‘promising’ youngsters who trained along with him completed formal education and found a government job to feed their passion for the game. Stalin did not finish Class 10 and shoulders the burden of earning for his family of three. At his young age, the curiosity to learn the game had become an obsession. He remembers rushing back from school to the board room where he played for five or six hours straight. “I remember Stalin’s mother coming to the board room, yelling at him and hauling him back home,” said Vinnoli Irudayam, a senior carrom player. He was one of the senior players who spotted Stalin’s talent. Vinnoli, who takes care of the corporation board room with other players, is the son of Maria Irudayam, a two-time carrom world champion (1996 and 1998) and an Arjuna Awardee for carom (1997). Stalin dropped out of school to practice carom everyday. “That kind of dedication hones your skill but does not give you an alternate career or financial stability,” said Vinnoli referring to the fact that if Stalin had to travel for a match, he will have to forego his wages for a few days, and also pay for his travel expenses. “I earn about `10,000 a month. Training for a State championship will cost me around `3,000,” said Stalin. “I cannot afford to pay for the tickets to travel to bigger tournaments or find sponsors.” DilliBabu, (remember that his namesake Dilli was a legendary player and once in a Triplicane tournament saw him score a black century with ease) a leading player for LIC, started playing in the clubs of Periyampet around the same time as Stalin. However, a formal education gave him a government job and financial stability that subsequently helped him become India No 5 (2015-16). Though he even won the National Federation Cup for Carrom (2015), he says that even formal education does not guarantee a job based on carrom. “The Railways does not consider carrom players, and banks have stopped recruiting us,” he said. Almost all players who play at the board room at Periyampet claim that the standard of the game has gone down in the country as players don’t get many opportunities. The last State championship tournament was organised in November 2015 and players cannot be chosen for Nationals unless they contest and earn pre-requisite points in State tournaments. The informal, yet rigorous, club at the slum at Periyampet is one among several in the city. 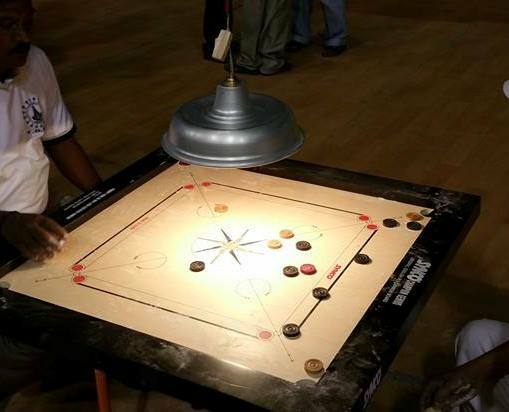 Chindadiripet, Washermanpet, Vyasarpadi and other parts of North Chennai have several carrom clubs. “These clubs have underprivileged kids who are talented. Tamil Nadu has been producing some of the best carrom champions in India. They have enough local role models they can engage with and learn from. All we need is a system that backs them up,” said Vinnoli as he locks the board room at 8.45 pm on a weekday. The story somehow leaves you saddened ~ for me too was a great fan (and some player too) of Carrom in my younger days ! 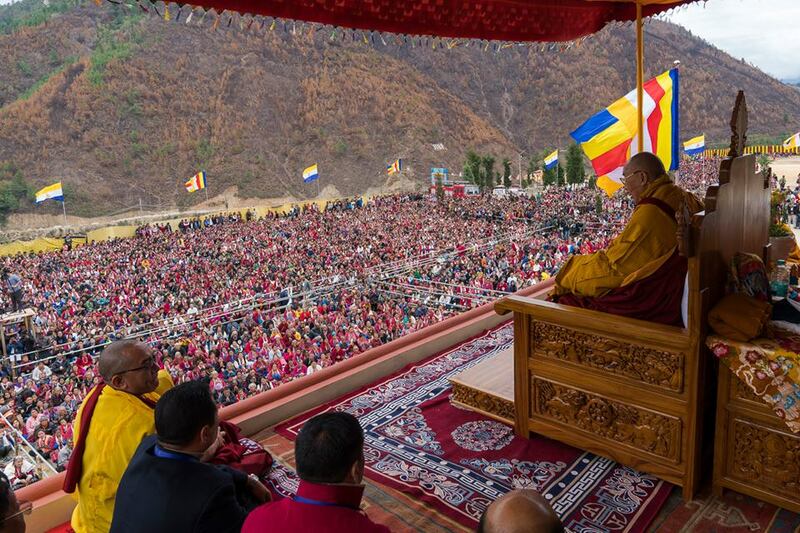 Dalai Lama visits Tawang ~ TOI says 100s welcomed him !!! Perhaps a small example of how we are fed by media ~ the news as they want us to see and understand !! - As the birthplace of the 6th Dalai Lama, Urgelling monastery, played host to the 14th 'incarnation' of the leader, hundreds of devotees turned up at the grounds of the 14th-century monastery to pay their respects to the 'living God'. – this is what TOI headlines read !! Dalai Lamas are believed by Tibetan Buddhists to be manifestations of Avalokiteshvara or Chenrezig, the Bodhisattva of Compassion and the patron saint of Tibet. Bodhisattvas are realized beings, inspired by the wish to attain complete enlightenment, who have vowed to be reborn in the world to help all living beings. The current head is the 14th Dalai Lama - ( Tenzin Gyatso, shortened from Jetsun Jamphel Ngawang Lobsang Yeshe Tenzin Gyatso). He was born in Taktser village, Amdo, Tibet (currently administratively in Qinghai province, Republic of China), and was selected as the tulku of the 13th Dalai Lama in 1937 and formally recognized as the 14th Dalai Lama at a public declaration near the town of Bumchen in 1939. Dalai Lama, His holiness is a world leader that is committed to promoting positive values such as , forgiveness, self-discipline, tolerance, compassion and contentment. He is a spiritual leader like no other and is highlighting the importance of happiness and world peace every minute of the day. Millions of people turn to the Dalai Lama for inspiration. He and his people have struggled all their lives with the audacity of hopelessness. Oppression and exile are their daily bread. Yet the Dalai Lama, remains calm in the face of cruelty. China's rulers aren't like the British masters of colonial India, and the Dalai Lama's Gandhiesque nonviolent struggle won't give them twinges of conscience, leading to Tibet's freedom. If anything, Beijing has grown more ruthless in suppressing Tibetan aspirations. Last week, China warned India that it will take "necessary measures" to defend its territorial sovereignty and interests after India "obstinately" allowed the Dalai Lama to visit the "disputed" parts of Arunachal Pradesh causing "serious damage" to the bilateral ties. China also lodged a protest with India's Ambassador in Beijing Vijay Gokhale over the Dalai Lama's visit. Chinese Foreign Ministry spokesperson Hua Chunying told reporters that it goes against the momentum of the sound growth of bilateral relations and will not benefit India in anyway. "The visit will for sure trigger China's dissatisfaction. This will not bring any benefit to India," she said. China will firmly take necessary measures to defend its territorial sovereignty and legitimate rights and interests, Hua asserted. While China’s stiff opposition is understood, what does Times of India and other Press want to achieve. Arunachal is Indian State and India has the sole right to decide what happens here. This is not the first time Dalai lama is visiting Arunachal Pradesh. He first did in 1983 - 24 hours after he set up his government in-exile. During his first visit to Arunachal Pradesh, Dalai Lama travelled to Tawang among other places - Miao, Tenzingang, Bomdila, Tawang, Dirang and Itanagar. Dalai Lama visited Arunachal Pradesh for the second time in 1996. This time he did not visit Tawang but travelled to Miao, Tezu and Mirig. In 2003, Dalai Lama toured Arunachal Pradesh twice. China’s disapproval of the Dalai Lama’s visit to Arunachal Pradesh notwithstanding, it has continued with its objective to build robust infrastructure in the region contiguous to the disputed Line of Actual Control (LAC). 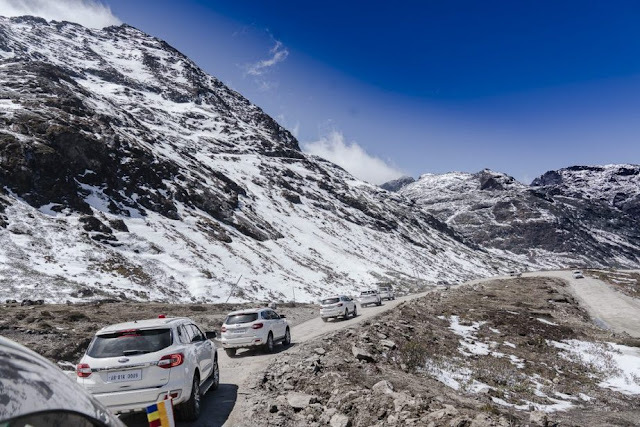 At least two more roads in the Tibet Autonomous Region are nearing completion that will soon reach the Line of Actual Control (LAC) ahead of Mechuka in West Siang district of Arunachal Pradesh. "Two roads at Chuningla Pass and Seruptangla Pass in the Mechuka subdivision on the LAC built by the Chinese have almost reached the border and are expected to be completed within a few months," said a local resident who serves as a porter for the Indian Army. The hilly and meandering route from LAC to Mechuka was one of the entry points of the People's Liberation Army (PLA) in 1962 and it had reportedly reached a place called Gurudwara which is only 15 kilometres from the subdivision headquarters. However, unlike in Tawang and Anjaw, the deployment of Chinese troops is thin across the middle region of Arunachal Pradesh which includes the West and Upper Siang districts. People of India need to be wary of the sinister designs of China as also the media ! Nilgiri Railways gets fully booked for summer ! !